As I said a few weeks ago, I have taken up the needles and started knitting. 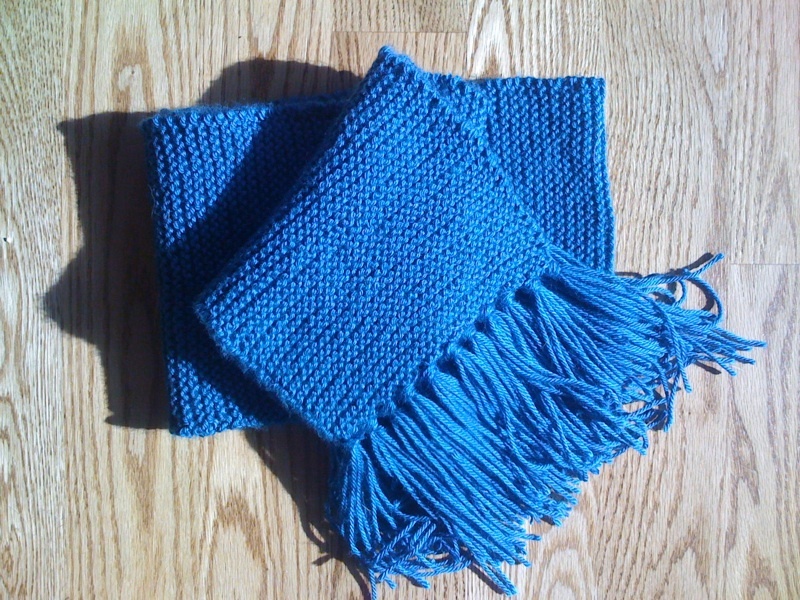 My first attempt was a scarf. It was a learning project, so it turned out okay, but I felt that now I have the hang of it, I should attempt it again, but this time with better yarn and an actual pattern. . . and here it is! I apologize for the picture since the color is a bit off. It is more of an oceany blue that the sky blue in the photo. I couldn’t be more happy on how it turned out. I am now going raise the difficulty level and attempt to make a matching hat for it. I have a pattern for one that uses straight needles, since I am not quite ready to try the circular ones yet. Wish me luck! I’ll post a picture of it when I am done.